Centrally located in Imerovigli, Avianto Suites is the perfect choice for your memorable holidays in Santorini. This small boutique hotel with its 5 simple yet elegant decorated Suites offers breathtaking views to the Caldera, the endless Aegean Blue, the Volcano and Thirassia Island. Avianto Suites is located only 10 minutes walking distance from Fira Town, while Santorini Airport and Athinios Port are 10km away. Exiting the airport grounds, take a left towards the capital, Fira. After 3km you will reach an intersection by the Messaria village, where you will turn right. Fira is located approximately 4km from this point. After Fira follow the road signs towards Oia. 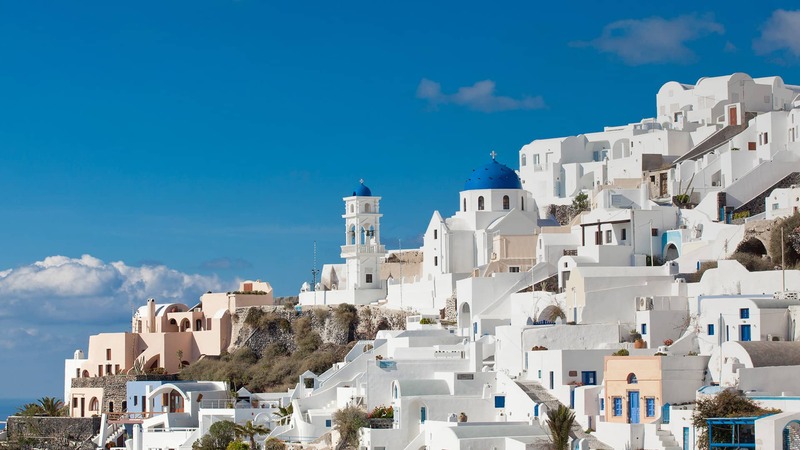 Your destination is Imerovigli village, located on the left two hundred meters before the end of the Fira – Imerovigli road (5th km); on your right hand side is located a mini market and on your left a parking space. Park your vehicle and after this point, continue walking and consult the provided map of Imerovigli to locate the hotel. Upon your arrival you will realise that you are in the heart of the Caldera. Follow the serpentine road to the top of the hill, where you will then take a left towards the capital, Fira, located just 5km away. After Fira follow the road signs towards Oia. Your destination is Imerovigli village, located on the left, two hundred meters before the end of the Fira – Imerovigli road (5th km); on your right hand side is located a mini market and on your left a parking space. Park your vehicle and after this point, continue walking and consult the provided map of Imerovigli to locate the hotel.